In the wake of yet another terrorist attack, I find it hard to stay focused on the myriad projects with deadlines looming (or already passed). But one thing I learned from those horrible days in september 2001 in NYC when the dust was everywhere and sirens became a part of our daily soundtrack is that there is a way through and for some of us, that way is with words. I write to understand the world. I write to understand myself. And when I can’t understand either, I write because I have to. That may sound pretentious or self-involved (aren’t all humans by nature self-involved?) but I really believe in the healing power of art. For several years I volunteered as a writing workshop facilitator at the Brooklyn Vet Center leading workshops for veterans with PTSD. They didn’t write about combat all that much and (with a very few exceptions) they were positive, mutually supportive and wonderful writers. The opportunity to write with them every week was one of the high points of my writing life. While that workshop ended due to a mixture of organizational dis-organization and my own PTSD making it difficult to take the subway to/from Bklyn every week, I still draw strength from that time spent writing with men and women who have witnessed horrors I will (I hope) never see. To be real, no one is “safe” and there is no such thing as “normalcy” (a word thrown around a lot in the days and weeks after 9/11 in NYC). But I can’t live life worrying every minute about when the next attack will come. And on those days when I just can’t see how we will ever get through this, how humanity will ever become “humane” on a global scale, I know I can’t do much but what I can do is write. And whether that writing helps anyone else? I don’t know. What I do know is that it helps me: to process rage, sadness, guilt, and confusion. So my advice to you: take some time this week, this month, this year to write, to read, and to write some more. Art does matter. Writing does matter. Even if you are the only person who sees it, it matters. Imagine your sacrum. Now, imagine you’re a walker/hiker/runner taking your sacrum for granted (as most of us do). Now, imagine your sacrum shifts and suddenly: you can’t walk any distance without pain, you can’t run at all, and hiking is a struggle at best. This past January, I was having severe lower leg pain (anterior tibialis) and stretching and rest didn’t help. I tried for two months to fix the pain on my own. Then I went to my doctor. My doctor sent me to a specialist who sent me to get an MRI. The MRI showed “major issues” including a narrowing of the opening where all the “big nerves” go from the spine down the legs. This narrowing along with a fused vertebrae and a shift in alignment of my sacrum was squeezing my nerves – not dissimilar to sciatica. All my life I’ve lived without back pain or only minor pain easily relieved through stretching and an Advil or two. I was prescribed a short course of steroids and weekly P.T. Now, five months later, I often can manage my chronic pain and although I walk to & from work every weekday (20 mins across town), sometimes I have to stop and wait for the nerve/muscle pain to subside enough to continue. I still can’t run (doctor’s orders) and this fall’s hiking season may well pass me by. 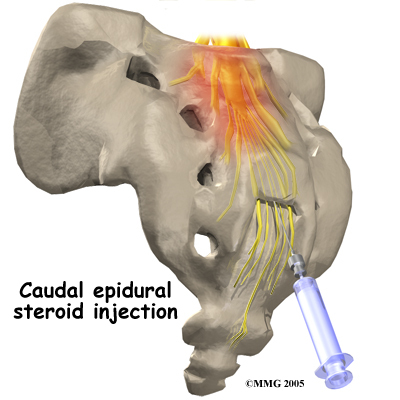 One of the suggested solutions: an epidural injection into the pocket where the nerves are held. I haven’t yet made the decision to do this but I have mountains yet to climb and miles of cities to walk so it’s likely I’ll have no choice. Meanwhile, the time I would love to be spending running and climbing and walking I’ve instead been spending reading, writing, and working toward my Ph.D. Given my work/school/work schedule, I don’t always have the time for my writing that I’d like to have. This summer in addition to taking French 1&2 and two graduate classes, I’ve been writing, editing, and prepping work to be sent out into the world. During this process I saw a notice for a writing & fine arts residency in a “dream” location: Orcas Island (WA State). I pulled some writing together, wrote an application essay and submitted everything right before the final deadline. Some weeks later, I got the AWESOME news that I was accepted and will be traveling to one of the most beautiful places on the planet this January to do nothing but write and sleep and look at the water. Sometimes good things do happen. Despite or because of wobbly sacrums.